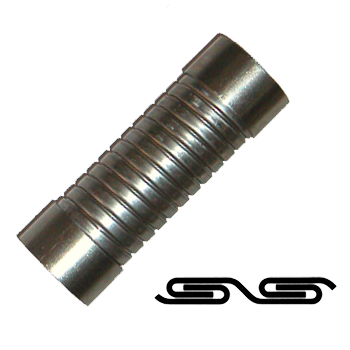 Hose made by helically winding a pre-formed metal strip into a fully interlocked profile. The hose gets its flexibility and suppleness from the sliding of metal components within the interlock section. The ideal hose for conveyance of truck exhaust gas and all applications requiring a very strong and flexible hose. Very efficient mechanical protection (armouring against impact, crushing, hot metal splash) of rubber hoses, electrical cables and heat insulation of technical hoses.In the smaller diameters, excellent mechanical protection of electric wires and cables, telephone hand set cables, security roller doors, thermocouplers, instrument wires and parachute rip cord housings. Also ideal as a lining for other hoses in abrasive media applications. Whilst this hose cannot be expected to retain gas or materials under pressure, it can generally be used for pressures up to 1 bar (100 kpa) where the discharge end of the hose is open ended.